Parnu is a charming resort city found on the Baltic Sea. It is filled with lovely shops, restaurants and historical buildings. 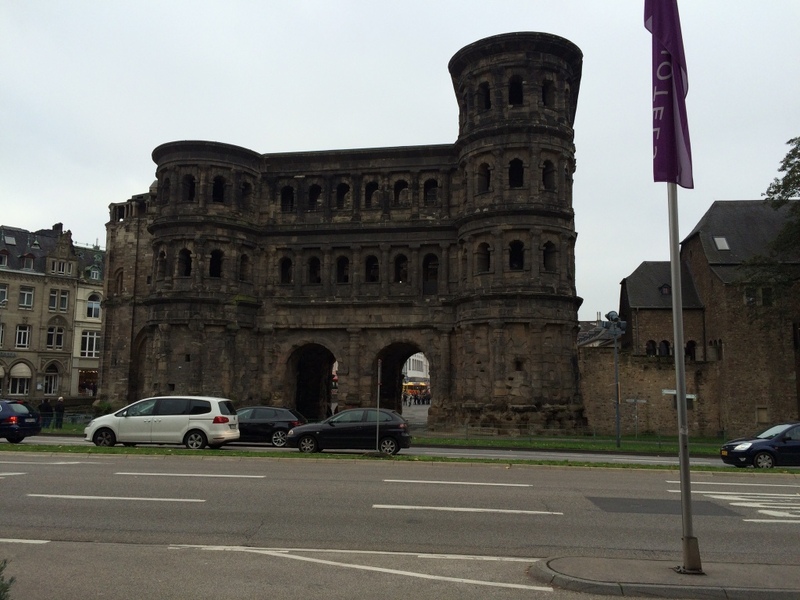 The history goes back to 1250 as a city area and before that as an agricultural region. 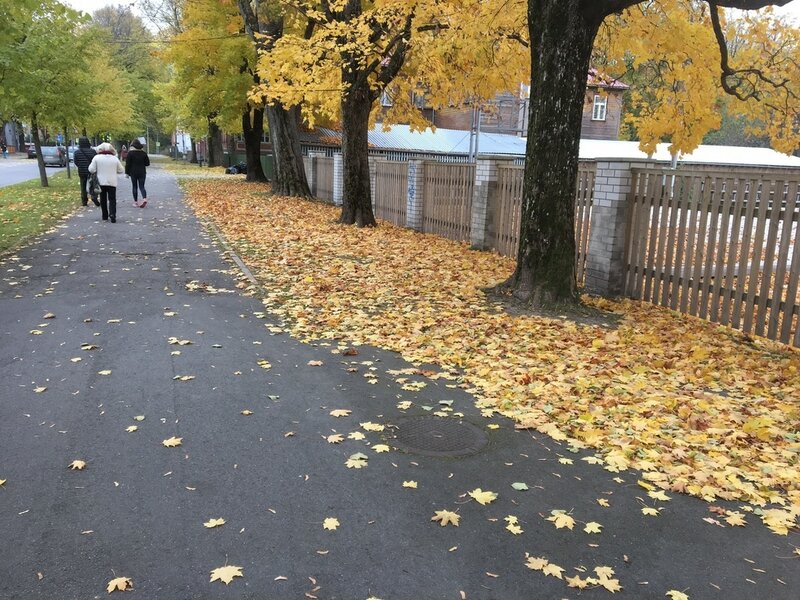 The golden leaves made walking around the city a pleasant reminder of the cool, crisp days of autumn. ​Some of the signs near the shops still echo the practice of centuries gone by when a sign could be shaped or depicting particular products. I am certainly behind on this blog. Since I noted an upcoming trip to Ireland, I did make that trip and I was also in Estonia for several days. 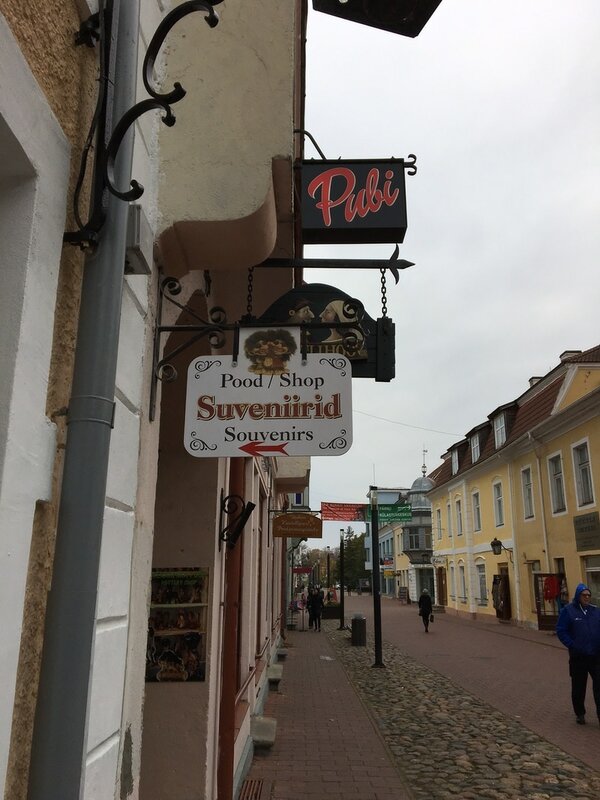 I love Estonia it is so interesting and although it was my third trip, I still find new things to see and experience in Tallinn. On this trip i also went to the university city of Tartu. I saw castles, gardens, museums, historical sites encompassing its Viking and Roman heritage and many wonderful shops and stores. I loved the pubs and the world famous Guiness pints we hear so much about. It was a magical visit. I stayed at a Bed and Breakfast created in an old Georgian home near the center of Dublin. Lovely building, no elevators and an Irish breakfast served every morning! It was delightful. ​I wil places some pictures of this lovely building and other on my new page Ireland. I need to catch up my blog. Since i last posted i have visited southeastern Germany and in an upcoming trip I will going to Dublin. Ireland and then back to Tallinn, Estonia for a week. I am very excited to be going to the Dublin area and one of my primary interest is to see the Book of Kells at the Trinity university site as well as the local museums. I am attending a creativity workshop with time built in to look around Dublin and a possible train over to Cork. I will post pictures in the upcoming weeks to catch up my geography site. This has been an impossibly busy last year or so. Estonia is a beautiful country! 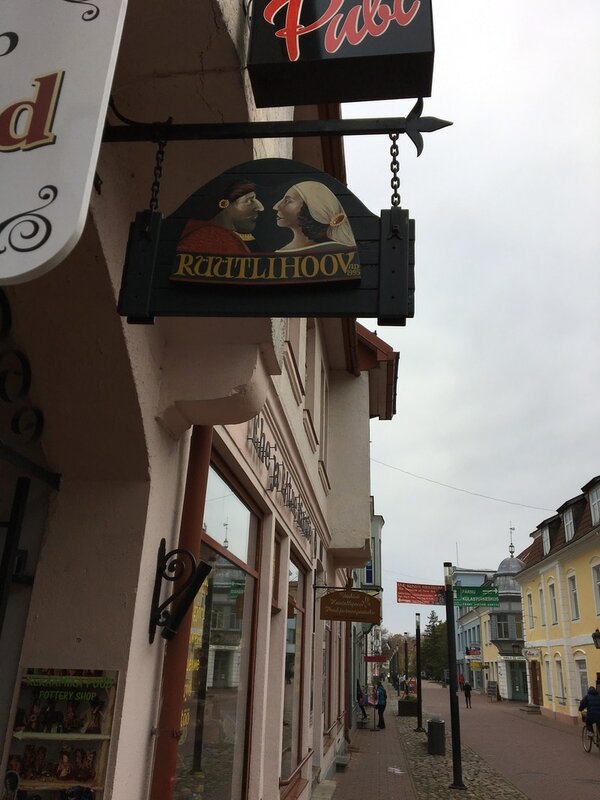 I visited Estonia in April of 2014 and what a beautiful city representing old medieval history. It will be the focus of my next book"Dear Diana:Travel with me to Tallinn,Estonia". Back to beautiful Ukraine! I will be in the Crimea region to speak and to see the last two weeks of March., 2013. I will haVE a one night stay in frankfurt, germany to see my son. A new year, a better job. I retired in June of 2012 and so many family problems, family triumphs, and other issues I have been sidetracked. I am getting back on track and traveling to Ukraine again in march. I hope to bring more info to my readers. Mrs. I have renewed this domain for another year in the hopes of improving its appearance and the information offered. Costa Rica, here I come, along with 25 other teachers from the United States. This trip is sponsored by Toyota and will give me a chance to study the flora and fauna in Central America as well as learn about and observe the culture of Costa Rica.This information will be shared in our classroom as we do researchin groups on the ecosystem problems and their possible solutions. Geography, where in the "world" would we be without it?! Our world grows smaller and smaller each day as we reach new heights in communication and the ability to know what is going on anywhere we choose to investigate at a moments notice.Tthe advent of the internet changed the lives of everyone in our world. Its advent marked the beginning of instantaneous communication and the ability to research countless topics. I wish it had been around when I was in college would life have been easier!!! The notion that geography just involves the use of maps and globes and latitude and longitude has been replaced by the attitude of going global and learning about all aspects of a country's culture not just its location. In looking at any country we might ask ourselves: What is the culture like? What religions are recognized? What kind of food do they eat? How do they dress? How do they travel? What are the environmental issues to be dealt with? What region of the world are we addressing? Wwhat is the importance of this country to us in the United States? Our newest country, Southern Sudan, would agree. They feel that their issues are as important as those of any country and their indepenence shows their willingness to work with others. To this end it is important that all of us be as well educated as possible in all of the aspects of life in any given country. "No man is an island" wrote John Donne, the famous British writer and poet who died in 1630. He espoused the notion that man needs to know his neighbors and his world.He lived nearly 4 centuries ago!!! To be a global citizen ,we need to know about the world we live in and understand its diversity and its similarities. I have been to many countries and hope to go to many more but that is the message I want you take from my class, that we need to know all we can about the citizens of our world not just our community. Mrs. C.